All images copyright © 2008 by Wm. Robert Johnston. Pictures while visiting Boulder for the 2008 Space Weather Workshop. 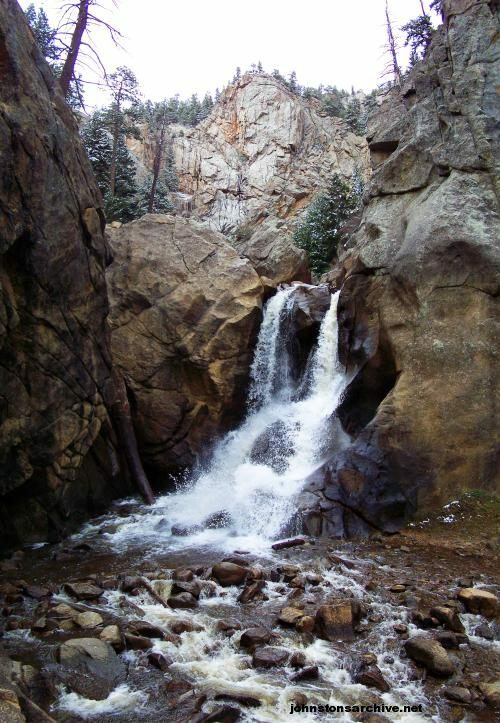 Boulder Falls, a 20-meter high waterfall on Boulder Creek, off CO-119 west of Boulder. This was taken the day of a light May 1st snowfall. 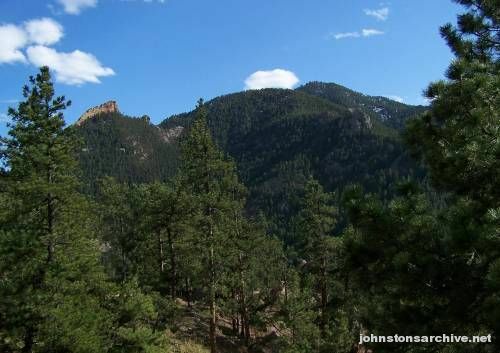 Saddle Rock on the left, Green Mountain (2,482 meters high at the summit) on the right, seen from Crown Rock on Flagstaff Road near Boulder. 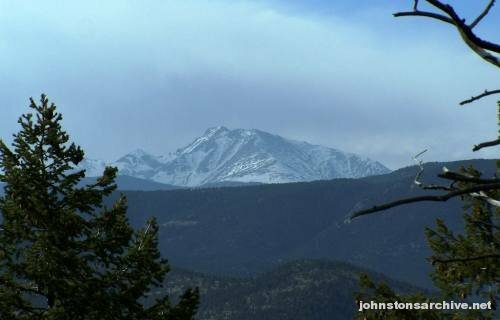 The view from Lost Gulch Overlook, further up Flagstaff Road, looking toward snow-covered peaks in Rocky Mountain National Park. 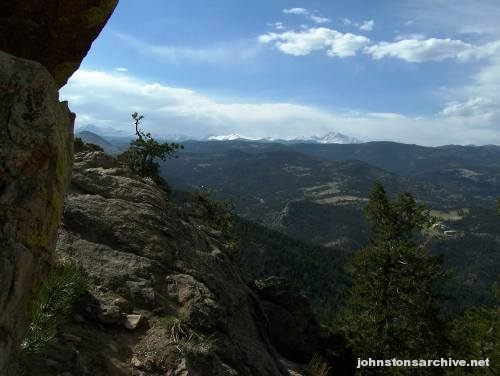 Closeup of Longs Peak, seen from Lost Gulch Overlook, 39 km away. Longs Peak is 4,346 meters high, the tallest mountain in Rocky Mountain National Park, and is depicted on the Colorado state quarter issued in 2006. 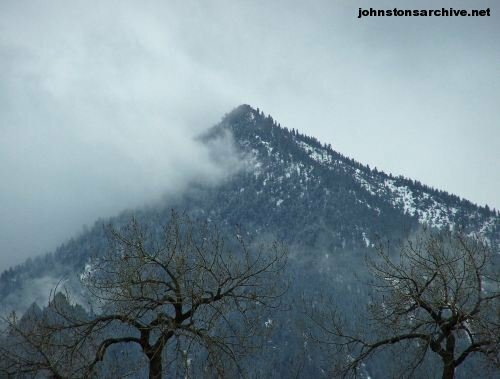 Bear Peak (2,579 meter high summit) near Boulder, on a snowy day in May. 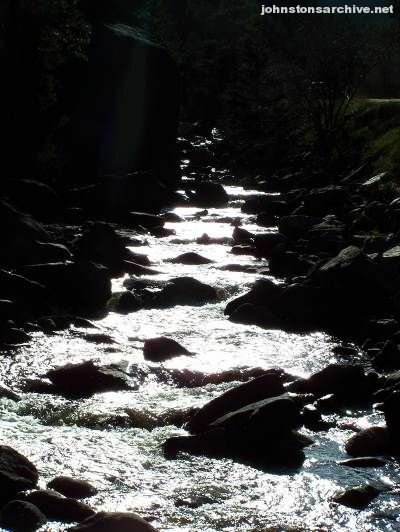 Sunlight reflecting off a stretch of Boulder Creek, up Boulder Creek Road from Boulder. 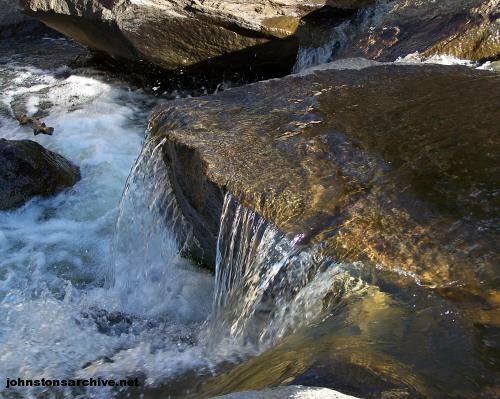 Closeup in Boulder Creek, a short distance below Boulder Falls. 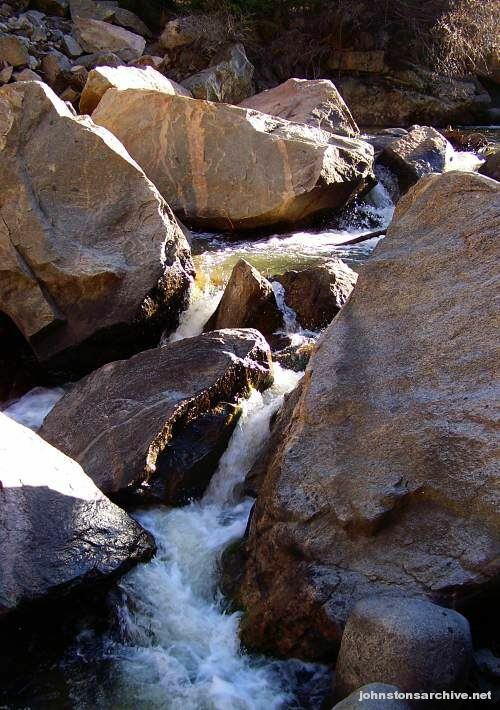 Another spot in Boulder Creek, near Boulder Falls. 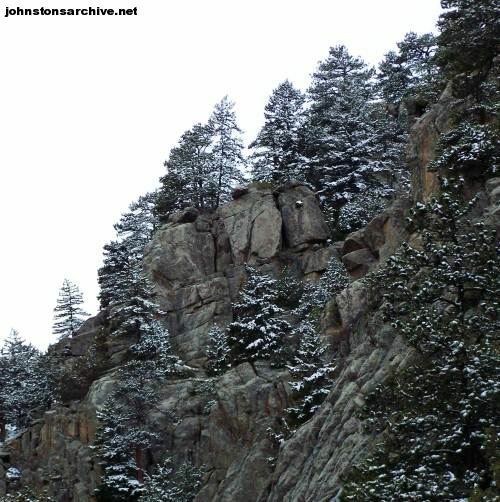 Snow on trees near Boulder Falls. © 2008, 2011 by Wm. Robert Johnston.